The widow of a prominent physician and historian, Rose O’Neal Greenhow was a popular Washington, D.C., hostess who was connected at the very highest levels of government. A Maryland native, her sympathies were wholly with the South during the Civil War, and she used her social position and considerable sexual allure to obtain important military intelligence that proved especially valuable in the First Battle of Bull Run. 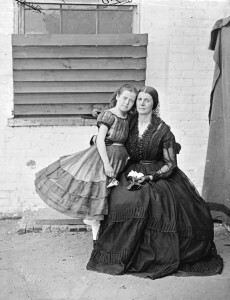 In August 1863, she traveled to Europe as an unofficial agent of the Confederacy, obtained funding for the Confederate cause there, but was drowned on October 1, 1864, weighed down by gold coins sewn into her clothing, after her boat sank off Wilmington, North Carolina, while she was attempting to evade a Union naval blockade.